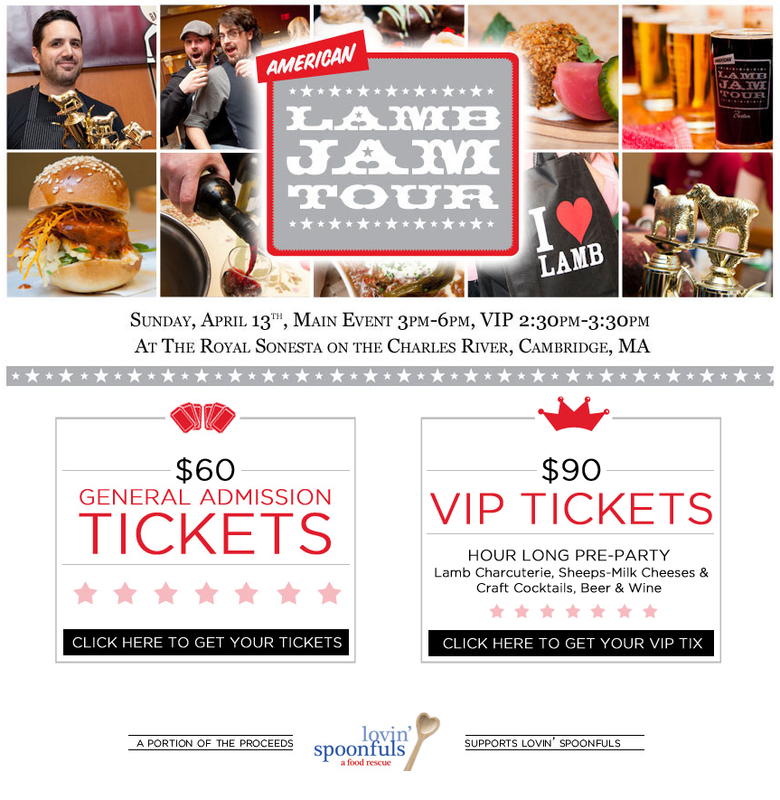 On Sunday, April 13, the Lamb Jam returns to Boston (or rather, Cambridge) at the Royal Sonesta Hotel. Lamb Jam Boston is an epic tasting event and competition that brings together 20 chefs from Boston, Portland, Providence, and Portsmouth to compete for your vote and the honor of Best Lamb Dish in New England! Joining the chefs will be 12 of New England’s top breweries, a couple winemakers and other local food artisans serving up tasty treats. In between bites, attendees can watch butcher demos, experience an interactive photo booth, and meet local shepherds. The VIP hour features lamb charcuterie by many of our friends: Chef Jamie Bisonette of Toro & Coppa, Chef Louis DiBiccari of Tavern Road, Chef Dante de Magistris of Dante, and Chef Will Gilson of Puritan & Company. A portion of the proceeds support Lovin’ Spoonfuls. Visit the website for a full list of chefs and breweries and to buy tickets!